Airtightness is a word oft bounded about when it comes to building a new home. But what does ‘airtightness’ actually mean and how do you go about creating an airtight home? Air ‘leakage’ is defined as the flow (or more aptly, escape) of air through the gaps and cracks in the building fabric: to the walls, floors and roof. When we meet Building Regulations standards (Part L1A) on airtightness, this leakage can be no more than 10m³/h/m²@50pa — or 10m3/hr. What this means is that no more than 10 cubic metres of air can escape per hour for every square metre of the envelope surface area, with an internal air pressure of 50 Pascals. To put that in perspective, the PassivHaus standards require a figure equivalent to less than 1m3/hr. While BRE, the people who write the Building Regulations, suggest that a house achieving airtightness of 5m3/hr will use 40 per cent less energy on space heating than a house built to 2005 standards of 10m³/hr. The big housebuilders have long held that improving on 10m3/hr is too onerous, which may be why the Regulation has not changed since 2006. But 5m3/hr is now fairly standard for SIPs (structural insulated panels) and ICF (insulated concrete formwork) builds, and even some timber frame systems. The fabric envelope: the walls, floor and roof. The ease of achieving a desired airtightness in the walls will vary with the construction system. With SIPs or ICF it’s very easy, timber frame not so easy, and with masonry it is quite difficult. It is the junction between the floor and wall, and the wall and the roof where the problems particularly lie. 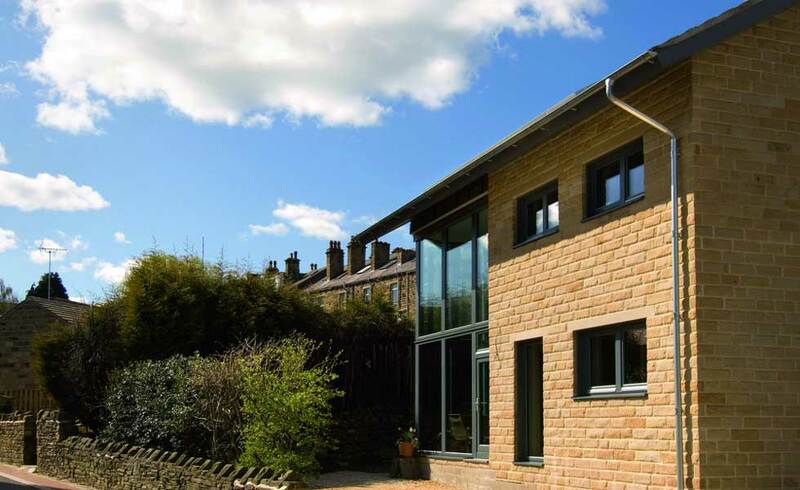 Windows and doors: we focus on U values, but what we really need to be asking for is the airtightness we want as well. Where the frame meets the wall is outside the remit of the window manufacturer, but how the window or door closes within its frame is very much their responsibility. It must be airtight on the day it is installed and the seal needs to last at least as long as the window or door itself. Other penetrations to the fabric such as pipes and cables: they’re not difficult to deal with and it is largely a matter of attention to detail and especially to ensuring they are all found and dealt with. Another area which needs serious attention is open fires and their chimneys — they’re the anathema to the airtight house. The purpose of a chimney is to draw air out of the house in enormous quantities ­— exactly what we are trying to prevent. If the target is an airtightness of less than 3m³/hr, it will be necessary to consider designing out items like keyholes, cat flaps and letter boxes. Getting down to near-PassivHaus levels is a serious business and needs serious consideration. Your architect should be specifying what needs to be done but there are handy, free websites, such as the Planning Portal, which provide construction diagrams and photos of ‘common problems’ to help homeowners understand what’s at play. The most cost-effective way of achieving airtightness is to choose the right construction system. As previously stated, 5m³/hr is now standard with SIPs and ICF builds. SIPs may have an edge because SIPs panels can also be used to form the roof, leaving only the airtightness of the ground floor to deal with. 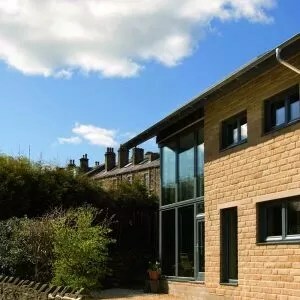 A SIPs supplier, for instance, will guarantee the airtightness of the walls and may even extend that to the windows and doors if they are supplying and installing them, but they will not guarantee the roof (if they’re not supplying it) or floor. For airtightness to be achieved, every aspect must be properly addressed. With timber frame, it’s a matter of taping all the joints and attention to detail, while masonry construction will mean applying a parge coat (sand, lime and cement) to the internal surface before plastering. The loft hatch is just as important as any other part of the build and there are proprietary products available, like the Manthorpe hatch from Sustainable Building Solutions. The Green Building Store offers a number of airtightness products including loft hatches, services boxes and downlighter housings, too. The longevity of the materials used to achieve airtightness is vital. Materials like standard mastic, for instance, will not do as a joint sealer: in time they will dry out, crack and allow air leakage. Instead, a long-lasting, flexible mastic should be used. Again, a trip to the Green Building Store website will give a good idea of the specialist tapes, mastics, grommets and membranes available. More than anything else, quality control is imperative to the success of creating an airtight home, which presupposes that the person in charge of quality control knows what they are looking for. With SIPs and some timber frame systems, an element of quality control is done in the factory by people who do know. All the on site work needs the same level of attention and skill. The first step is to ensure the main contractor or project manager has built at least one airtight house previously and acquired the knowledge. Breathability and airtightness are not mutually exclusive, as breathability is not primarily to do with air. It is, broadly, a material’s ability to absorb moisture and then release it so that water vapour is not retained by the fabric of the building, also known as hygroscopic. Natural materials, especially natural insulation, are more hygroscopic than synthetic ones. The term ‘vapour permeable’ also gets used in this context as it means the rate at which water vapour passes through a material. With airtightness levels of 7m³/hr or better, a ventilation system is needed to maintain a healthy atmosphere. However, if you specify a mechanical heat recovery ventilation system, then unless an airtightness of less than 5m³/hr is achieved, the heat recovery element will not work. It will instead draw in more cold external air than the heat recovered and have a negative impact on the energy efficiency of the house. Airtightness testing is cheap (around $400), easy and essential, and there is almost an inexhaustible list of companies who will undertake the testing. But a smoke pen or pencil can be useful in indicating exactly where the leaks are; try smokepencil.com. Expect to do the test more than twice. The first test should always be done when the build is wind and watertight, before any internal finishes are installed, in order to ensure that the fabric reaches the desired standard and that any resulting remedial work does not involve removing expensive finishes. The extra cost of achieving airtightness will vary with the construction system and with the level of airtightness being sought. To achieve 5m³/hr, budget an extra five per cent of the envelope cost for a SIPs build and 15 per cent for a masonry build. Timber frame and ICF will be somewhere between the two. It’s worth noting that airtightness can and has been achieved in renovation projects too, but tends to be very difficult and expensive. It is inarguable that airtightness improves thermal efficiency and reduces space heating costs. Improving airtightness from 10m³/hr to 5m³/hr will reduce energy demand (and consequently cost) by around 22 per cent, if everything else remains the same. Improve the airtightness to PassivHaus standard and the cost reduction is over 52 per cent. That’s not an inconsiderable cost. That said, improving airtightness is not typically done in isolation; it is often accompanied by better build quality and better insulation. Airtightness is the biggest single factor affecting heat loss, but good thermal efficiency needs a broader view and a holistic approach. Bonding airtight vapour control layers to other building materials for an airtight finish requires an adhesive which boasts high adhesion but is also flexible and elastic. One such product is the Pro Clima Orcon F.
Pro Clima TESCON No 1 and TESCON VANA are flexible multipurpose adhesive tapes for airtight bonds, which can be used to create a secure, permanent and continuous seal between membrane overlaps to adjoining building components. If pipes or cables penetrate an airtight layer they must be securely sealed. One solution is to use airtightness grommets, such as the Pro Clima ROLFLEX and KAFLEX, which provide a tight, flexible fit. 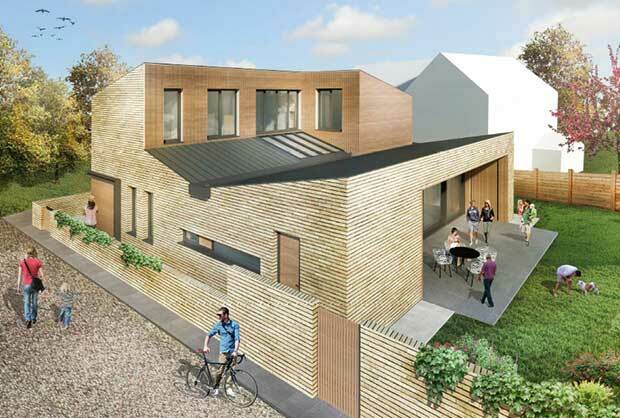 Bucking the trend (and going above and beyond Building Regulations standard) for creating energy-efficient, airtight homes, self build package company Potton are currently in the process of constructing a PassivHaus show home (below) at their self build centre in Cambridgeshire. The show home will showcase how the company can create an airtight home for budding self builders. Paul Newman, Self build Director for Potton, explains: “After the success of building our highly energy-efficient Barn show home (built to Level 4 of the Code for Sustainable Homes) the natural progression for us was to build a PassivHaus show home.